John Tavares had a goal and two assists and the visiting Toronto Maple Leafs held on to defeat the Edmonton Oilers 3-2 Saturday night. Morgan Rielly and Jake Muzzin also scored for the Maple Leafs, who ended the Oilers' four-game winning streak. Toronto won both meetings between the teams this season, after a 6-2 home win on Feb. 27. 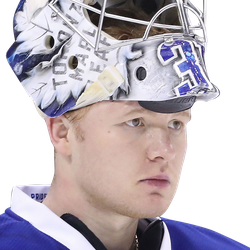 Frederik Andersen stopped 31 shots for Toronto, which finished a three-game trip 2-0-1. 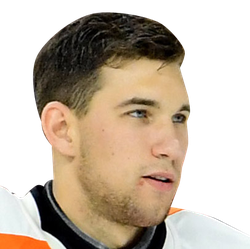 Edmonton goaltender Anthony Stolarz made 37 saves in his second appearance and first start for the Oilers since he was obtained in a trade with the Philadelphia Flyers in February. It was his 21st NHL game. Regular goalie Mikko Koskinen was out with the flu. Rielly scored his 18th goal on a shot from the left point on a power play at 19:46 of the first period. His shot glanced off a defenseman's stick and knuckled high into the net. Tavares and Nazem Kadri, who had missed the previous eight games with a concussion, earned assists on the goal, which came with three seconds left in a slashing penalty to Draisaitl. The Oilers started the second period on a power play when Frederik Gauthier took a tripping penalty at 20:00 of the first, but they failed to capitalize on the opportunity. Tavares notched his 38th goal when he split the defense, switched to his forehand and flicked the puck past Stolarz at 12:28 of the second. Nikita Zaitsev started the rush with a stretch pass during a line change. Zach Hyman also earned an assist. Muzzin scored his sixth this season from the left circle at 3:00 of the third period. Tavares fed William Nylander, whose pass found Muzzin. The Oilers had a two-man advantage for 37 seconds when Muzzin (slashing) joined Rielly (holding) in the penalty box at 11:49 of the third. Edmonton failed to score despite a couple of good chances. Nugent-Hopkins scored his 22nd of the season at 18:21 of the third, and Klefbom scored his fifth at 19:07 as Edmonton made it close. Milan Lucic (hip) did not play for Edmonton.